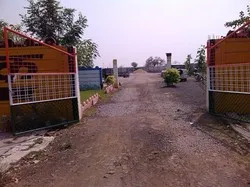 Established in the year 2009, we "Triranga Precast" are the leading manufacturer of a wide range of RCC Sign Boards, Compound Walls, Boundary Walls, Godown Walls, etc. Offered products are made by us in the most precision manner by utilizing the best grade raw material. We are a coveted firm engaged in offering our clients with this wide range of our manufactured products. We are instrumental in providing these products to our clients as per their specifications as well. 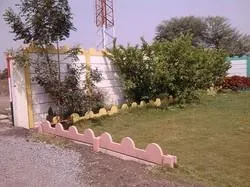 Under the visionary guidance of our expert mentor "Mr. Varun Hirani", our company has immense recognition in the market arena as one of the qualitative manufacturers of Wall and Curbing. 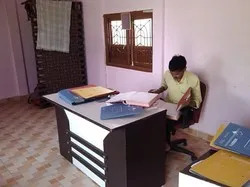 With his immense understanding of the markets and the needs of the customers, we are able to motivate our workforces in the most efficient manner. We are committed to provide high quality products in an environment friendly manner, achieving the zenith level in the cement product industry, meeting the needs of customers and employees whilst adding value to the community. Being a quality centric organization, we ensure that we supply our customers with quality products only. To ensure this, we have a team of expert quality controllers who efficiently look after our work process of manufacturing. In order to ensure quality right from the beginning, we have inculcated these products from the best quality raw material only. This automatically ensures that the product shall be of best quality. Furthermore, we have always been appreciated by our consistent customers for providing them with qualitative material only, as every time we make a delivery we receive positive feedback for providing clients with easy to install compound walls or curbing range. 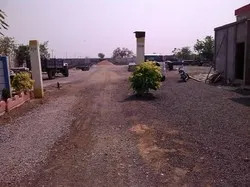 Being one of the prominent manufacturers of RCC Sign Boards, Compound Walls, Boundary Walls, Godown Walls and many more products, we have developed for ourselves an expanded infrastructure. This infrastructure has been segregated into various parts just in order to ensure that all the business processing goes on in a smooth flow eliminating the risk of hassling. We have separate units for manufacturing and production, while there is another unit for packing supplies and another unit for quality control of all these productions. We have fully equipped our infrastructure with some of the advanced techniques. We have received UDHYAOGRATN AWARD in Surat in 2017. We have hired for ourselves a proficient team of skilled work-force that are immensely expert in their respective work fields. We have a wide team of skilled labour that looks after the production process in our warehouse unit. These labours have been regularly and timely trained in order to understand the latest and budding trends of manufacturing process. We believe that a skilled and organized work force can accomplish organizational goals easily and in an organized manner. We also have expert quality controllers who look after the productions quality and their credibility to the standard norms.